In 1772, upon the death of her second husband, Mary Delany arose from her grief, picked up a pair of scissors, and, at the age of seventy-two, created a new art form: mixed-media collage. Over the next decade, Mrs. Delany produced an astonishing 985 botanically correct, breathtaking cut-paper flowers, now housed in the British Museum and referred to as the Flora Delanica. As she tracks the extraordinary life of Delany-friend of George Frideric Handel and Jonathan Swift-internationally acclaimed poet Molly Peacock weaves in delicate parallels in her own life and, in doing so, creates a profound and beautiful examination of the nature of creativity and art. This gorgeously designed book, featuring thirty-five full-color illustrations, is to be devoured as voraciously as one of the court dinners it describes. 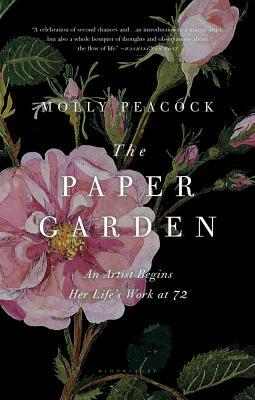 Molly Peacock is the award-winning author of five volumes of poetry, including The Second Blush, and a memoir, Paradise, Piece by Piece. Her poems have appeared in the New Yorker, the Paris Review, and the Times Literary Supplement. A transplanted New Yorker, she lives in Toronto.